The first story of the Wayward Souls saga takes place in Incantirl, an old city that was initially founded by a Deelamn tribe that chose to settle rather than continue with their usual wandering ways as Wayward (wandering bands of Deelamn use the term Wayward to refer to themselves). As the years passed, humans eventually moved into Incantirl as well, and they eventually became more numerous than the Deelamn themselves. Eventually, this lead to the humans inhabiting most of the city as they expanded it while the Deelamn remained in their own quarter, which is by a bay called Croabas. 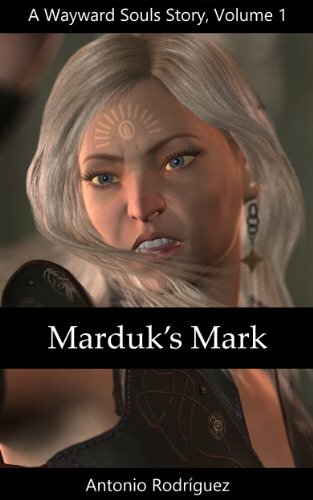 Having both humans and Deelamn living in the same city is dangerous, as the Deelamn may be afflicted by what is called the Mark of Marduk. While not a common affliction, it is extremely dangerous as it drives the affected Deelamn violently insane, particularly towards humans. During the opening of our story, we witness Xandra Neeves, the mother of Gerhalt and Reysha Neeves, becomes afflicted with the Mark. Now it is up to Gerhalt and Reysha to protect their mother from those who don't tolerate Marked Deelamn, which includes a third race called the Junex.